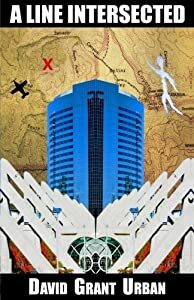 In this literary noir thriller, San Diego architect Michael Collwood must dodge the police and corrupt politicians to find the men who brutally killed his wife. His only ally is an eccentric, homeless old man who believes he is living in the 18th century. Danny Marsh is a good guy, and also an escaped felon. He has twenty-four hours to make it to freedom in Mexico. 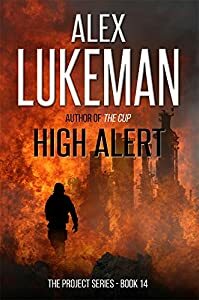 Along the way, he must evade the rabid Texas authorities, and even deadlier, the schemes of one of his closest allies, who isn't who he seems. Then you'll love An American Cage, the second novel by Ted Galdi, an Amazon #1 bestselling author who's won Reader Views and Readers' Favorite awards, and been featured by FOX, ABC, and iHeartRadio. Get your copy of this hit book today and go on a page-turning manhunt through the depths of Texas with a freedom-hungry convict society may hate, but you're sure to love. 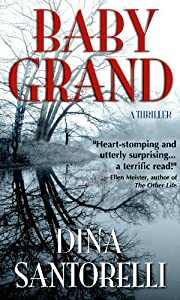 This action-packed psychological thriller is loaded with suspense, mystery, twists, and grit, all while having heart. 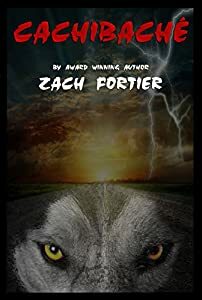 The story follows Danny and his two escape partners on a journey of self-discovery and redemption as they weave through a rocky landscape of family issues, guilt, betrayal, and questions about the nature of good and evil. You'll meet an eclectic supporting cast, including a renowned neuroscience professor, a car thief, a young female hitchhiker, a high-ranking member of the Aryan Brotherhood, and a local cop with national ambitions. 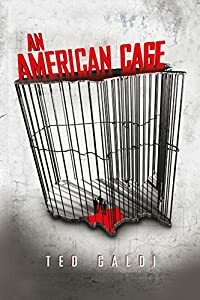 An American Cage is enjoyed by lovers of popular crime fiction and psychological suspense, a police chase book just as much as it is a psychological manipulation book. 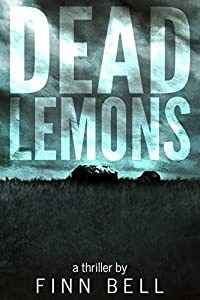 A hard-boiled police procedural, this Amazon #1 bestseller follows traditional detectives and police officers as they hunt the three escaped prisoners across a bevy of small towns and big cities in Texas. At the same time, the novel evolves into a work of sociopath crime fiction as the true intentions of characters come to light, which are unexpectedly dark, disturbing, and scary, involving kidnapping, ransom, and even murder. Soon, Danny is fighting for a lot more than his freedom. His life, and those of the ones dearest to him, are at stake. Vengeful, he battles to right wrongs and keep himself and the innocent characters safe within the cyclone of devious machinations swirling around him. This edgy thriller culminates in a surprise ending sure to leave you both stunned and satisfied. With echoes of the upmarket novels of writers like Dennis Lehane, An American Cage goes deep into its characters' psyches while remaining fast-paced, gripping, and wildly entertaining. It's a must-have for fans of Kindle Unlimited suspense thrillers, especially the psychological thrillers Kindle Unlimited offers. Ted Galdi is also the author of the novels Elixir and Lion on Fire, and the short stories A Road to Nowhere and Hazel Is Missing. Grab your copy of An American Cage today and embark on your Texas manhunt. A compelling, fast-moving contemporary thriller: In Albany, New York, the governor's infant daughter disappears without a trace from her crib at the Executive Mansion. Hours later, newly divorced and down-and-out writer Jamie Carter is abducted from the streets of Manhattan. Jamie is whisked upstate, where she is forced by her captor, Don Bailino, an ex-war hero/successful businessman, to care for the kidnapped child in a plot to delay the execution of mobster Gino Cataldi - the sixth man to be put to death in six years by hardliner Governor Phillip Grand. What prevails is a modern-day thriller about family ties, loyalty, murder, betrayal, and love that's told in deftly interweaving narratives that follow the police investigation of the missing Baby Grand, the bad guys who took her, and the woman who must find the strength to protect her. Camp Baroota has fallen, and The Director has moved on. Forming a replacement- Camp Cachibaché. He has a new psychotic camp director, new security team and an impenetrable remote location. The Director is back in business. However, before the camp is even up and rolling The Wild Card has begun his vengeful hunt for The Director. The Hunter had become the hunted. Nick Hudson is back, more motivated, angry and mentally unstable. He's now committed to a no holds barred death match. A final violent confrontation with The Director. Fate however has another plan for Nick, as he and Nõnkos Zia, the only other survivor from Camp Baroota begin their quest to crush the elusive Director. The Battle has begun for Nick and Nõn. Cachibaché is full of unexpected twists and turns that set Nick into a downward spiral. Hold on tight and avoid the wrath of The Wild Card. Cachibaché was named to the Short list finalist in 2017 Chanticleer Clue book awards contest. Cachibaché was chosen as an "Official Selection" in the Psychological Suspense category of The New Apple Annual Book Awards! 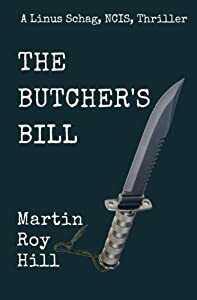 "Those who like their thrillers gritty and charged with unpredictable twists will relish the different directions chosen by Bill and his friend in this engrossing saga . . . "
A place to heal himself far from his old problems. 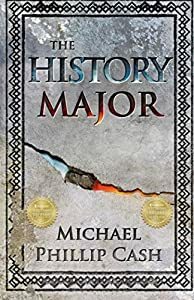 But rebuilding life is complicated by chance encounters and odd occurrences leaving Finn with the growing suspicion that the people here are harboring a terrible secret. Suspicion turns to obsession the deeper Finn digs while also facing steadily escalating dangers in the here-and-now. Soon Finn's own journey of recovery becomes inextricably linked with his need to unravel the mystery. Past and present finally collide when Finn starts to learn the truth about this place and himself. Now he must choose between exoneration and condemnation, justice and vengeance. When an American missile submarine is sunk in the Sea of Japan, it's the opening move in a madman's plan to plunge the world into war. A day later the Chinese ambassador to Washington is assassinated. Meanwhile, the unstable leader of North Korea prepares to attack America with a terrible weapon. The U.S. President calls in the Project, a deep black ops unit that goes places and does things others can't or won't do. They've had tough assignments before: but this time they're up against an unknown enemy, a man bent on vengeance against all of humanity. He won't rest until the world is turned into a radioactive hell... and when it comes to the Project, it's personal. 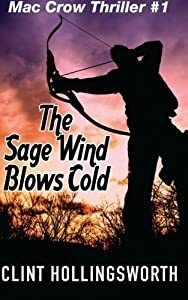 FAST-PACED ACTION AND INFUSION OF WILDERNESS SURVIVAL WITH THE THRILLER GENRE. If Bear Grylls worked for a bounty hunter agency . . .
Bagging a killer should have been the end of it, but it was only the beginning. Young tracker Mackenzie Crow, working at his uncle's bounty hunting business, is ambivalent when an old flame pleads for help. His intuition tells him to scram and not look back, but Mac's conscience won't allow him to say 'no' to finding a lost child in the woods. Not sure where he stands with Kailee, Mac soon finds out: she is married to his old rival and has kept this from him in order to solicit his expertise. A little bit of information is a dangerous thing. Once in the woods with the Search and Rescue team, Mac comes into his element and within a short time has found the child's trail. He also finds something completely unexpected: a strange set of tracks following the girl. It's clearly the day for unwanted surprises. Deep in the woods, desperately following the trail, Mac comes upon an SAR volunteer face down in the forest with an arrow in his back. Little does Mac know, this is just the beginning of his problems. Before this is through, Crow will be hunted by a psychopath and cadre of foreign mercenaries, all wanting to remove this Mother Nature's son from the land of the living. WILDERNESS ACTION THRILLER, 1st Place Chanticleer 2016 Clue Awards Thriller/Suspense, silver medal finalist 2017 Readers' Favorite Awards. 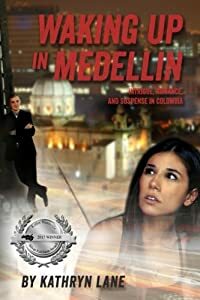 Handsome Colombian men and life-threatening danger were not normally a part of Nikki's auditing job, but this assignment was anything but normal. Despite her emotional wounds, she accepts the challenge as a way to overcome the loss of her young son in a tragic event.